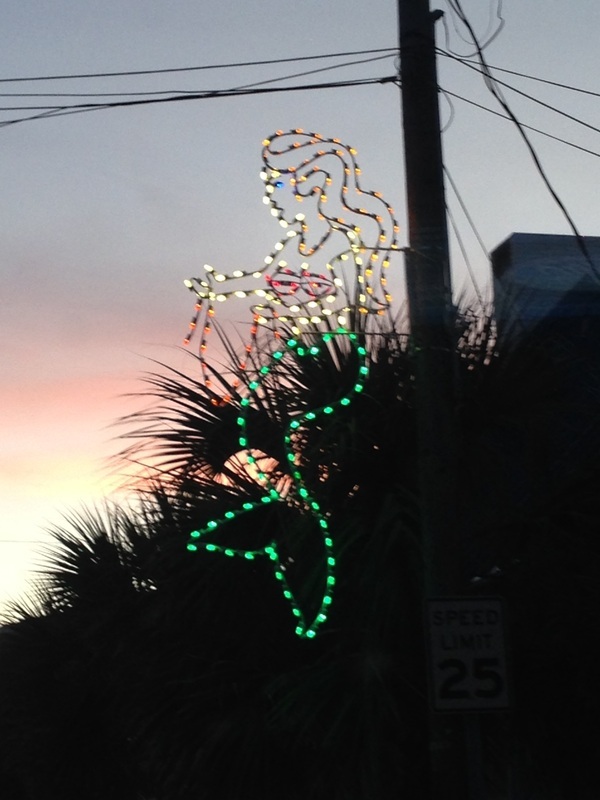 We love the holidays ... and love doing our part to help Wrightsville Beach decorate for the season. 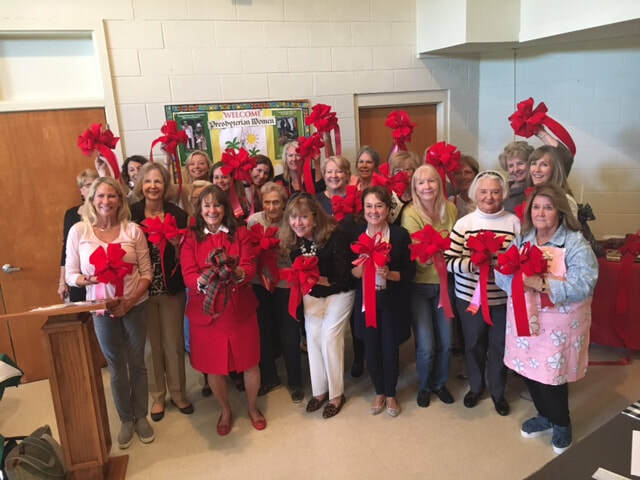 Each year we make 50+ wreaths to adorn the post office, town offices, the drawbridge, the "Welcome to Wrightsville Beach" sign - even the sanitation trucks. Through our fundraising efforts, we also help upkeep and purchase new holiday lights installed each year on the telephone poles and on the trees coming over the drawbridge. 50+ Bows for the wreaths. Club member Sheila McCuiston poofs bows. 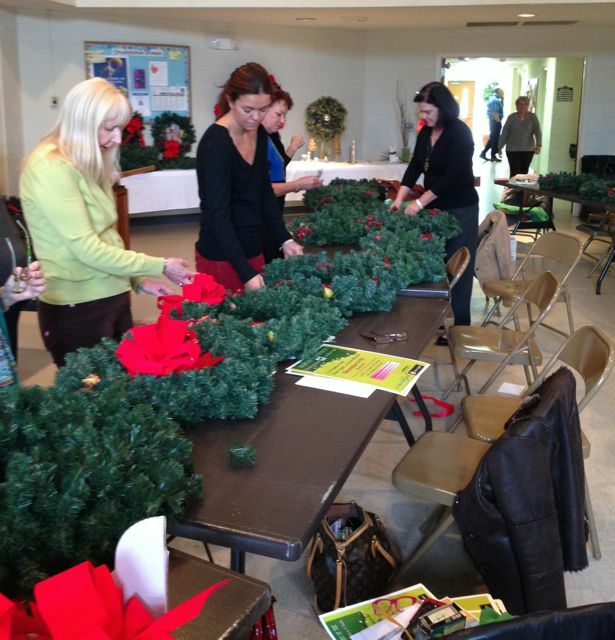 Club member Sandy Overbeck plays Christmas wreath elf.